In an attempt to expand the Houston Metropolitan Research Center’s Hispanic Collections (HMRC), the Houston Public Library (HPL) recently hired a Hispanic Collections Archivist. 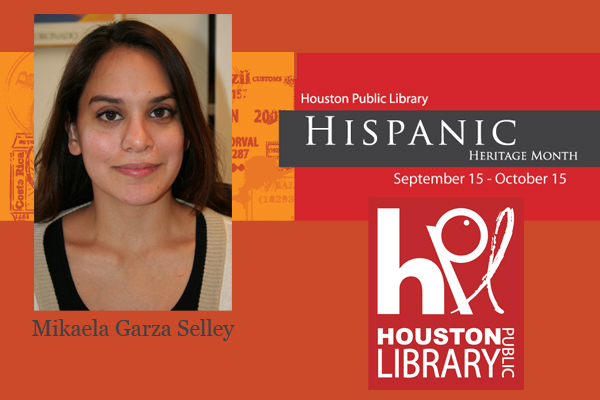 Miakela Garza Selley will lead and direct HMRC’s efforts in researching, acquiring, cataloging, digitizing, and preserving archival materials related to Hispanic cultures in Houston. What this means is that she is coordinating community outreach by serving as a community liaison, attending community meetings, and representing HPL at public events specifically related to Hispanic art, history, and culture. One of the activities Selley is coordinating for Hispanic Heritage Month is Oral History Day. HPL is inviting the Hispanic community to contribute archive materials to their holdings and to share their valuable and interesting pieces of history such as family photos or documents. HMRC staff will make copies of all materials and record these interviews and add them to their Oral History Collection. There are two Oral History Days scheduled, and appointments are required. To learn more and to schedule an appointment, please call HMRC at 832-393-1662. Hispanic Heritage Month: Oral History Day, http://hispanichouston.com/event/hispanic-heritage-month-oral-history-day/. 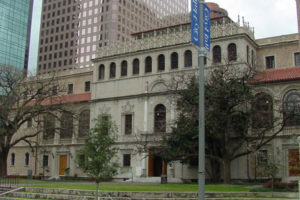 Photos courtesy of Houston Public Library. Sandra Fernandez is a professional communicator, tech enthusiast, book lover, and blogger. You can find her main blog at SandraSays.com and more of her writing at HispanicHouston.com. Sandra Fernandez on Hispanic vs. Latino: what’s the difference?